React as fast as possible to regain the initiative. Put the most professional players into the field. Use all the channels available to get your disinformation through. The pro-Kremlin disinformation machine has been steaming at full speed in the past two weeks, as it has continued to deliver contradictory theories over the poisoning of Russian ex-spy Sergei Skripal. We covered the aims of the campaign in last week’s report in detail. 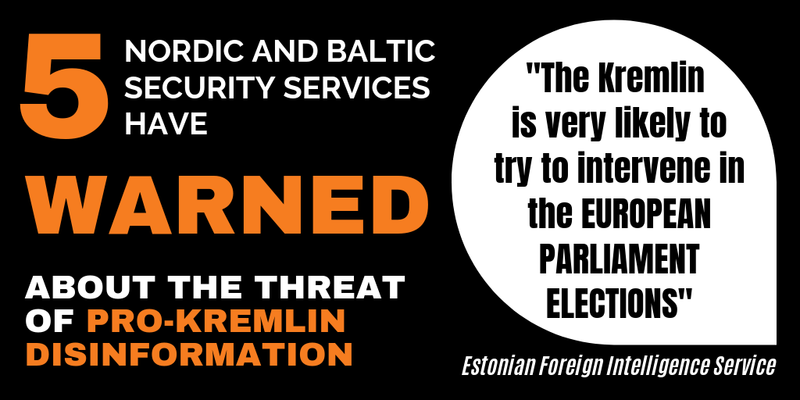 Now, it is time to look behind the smokescreen that pro-Kremlin disinformation is puffing around. Who are the actors behind this? How has the messaging developed? And what are the weakest points of the disinformation campaign? First, some facts. Former double agent Sergei Skripal and his daughter were poisoned in Salisbury on 4 March. A policemen who attended the scene was also seriously affected. According to the UK, this was either a direct action by the Russian state against the UK, or the Russian government lost control of its nerve agent and allowed it to get into the hands of others. The result: a military-grade nerve agent of a type developed by Russia was used offensively for the first time on European soil in over 70 years, the EU Foreign Affairs Council stated. The Russian foreign ministry, embassies, top-level diplomats, main state-controlled TV channels and global companies like Russia Today and Sputnik are all involved in delivering multiple theories on the poisoning. “Russia doesn’t have Novichok, it came from the UK/Czech republic/Sweden/Baltic countries”. First, Russia’s Permanent Representative to the Organization for Security and Co-operation in Europe (OSCE) claimed in Sputnik that the nerve-agent could have come from the UK, Czech Republic, Sweden and the Baltic countries. The same disinformation was later repeated by the Russian Foreign Ministry, and in the end, the Russian ambassador to Sweden had to back away and said it was just “a guess”. “It was a false-flag operation by the UK to discredit Russia”. This disinformation has been one of the most repeated messages on all the levels. It was used by the Russian envoy at the UN security council and variations of it were constantly broadcast by three main anchors and TV hosts of state-controlled TV channels. “Ukraine poisoned Skripal”. At first, accusing Ukraine not only for being governed by Nazis and conducting a genocide in Donbas, but also for poisoning Skripal sounded so ridiculous that it was mentioned only with many reservations. But a few days later it had strengthened into a serious part of the disinforming narrative distributed both by the chief propagandists on TV, and Russian governmental news websites like Ukraina.ru. “UK is manipulating OPCW”. 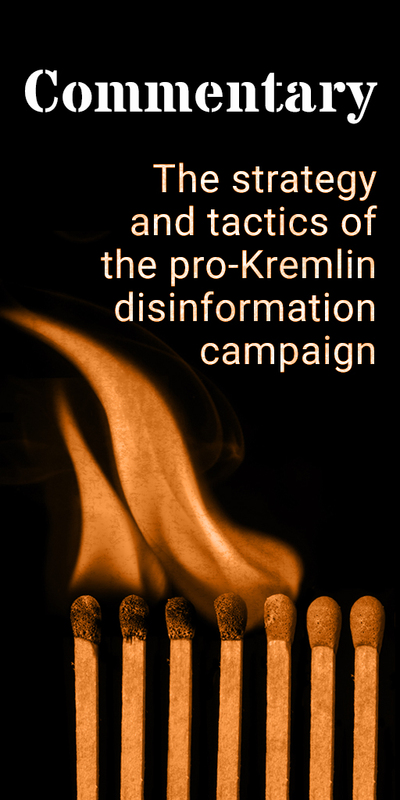 Discrediting international investigation is one of the basic tactics used by pro-Kremlin disinformation and has been earlier utilised intensively in denigrating the Dutch-led investigation on the downing of MH17. This time, it was the Russian deputy foreign minister who claimed that the UK is manipulating the Organisation for the Prohibition of Chemical Weapons (OPCW) experts. Some of the wildest examples of disinformation spread online suggested that Skripal was poisoned by the mother-in-law to be or by Theresa May herself – because she is friends with the appointed director of CIA. 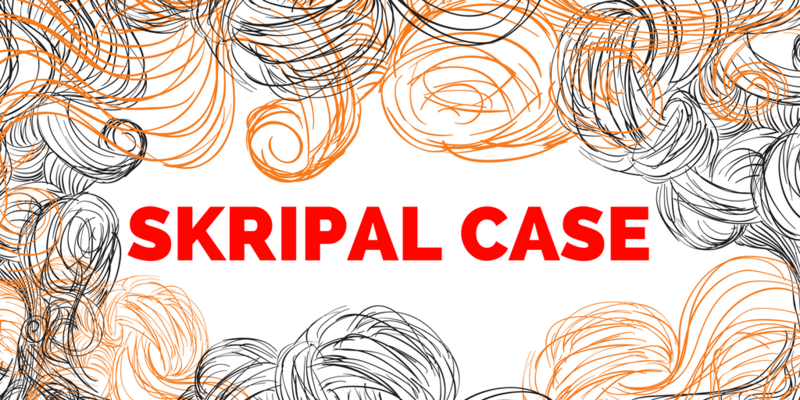 What all the cases have in common is their ability to confuse and to avoid any suggestion of Russian involvement. 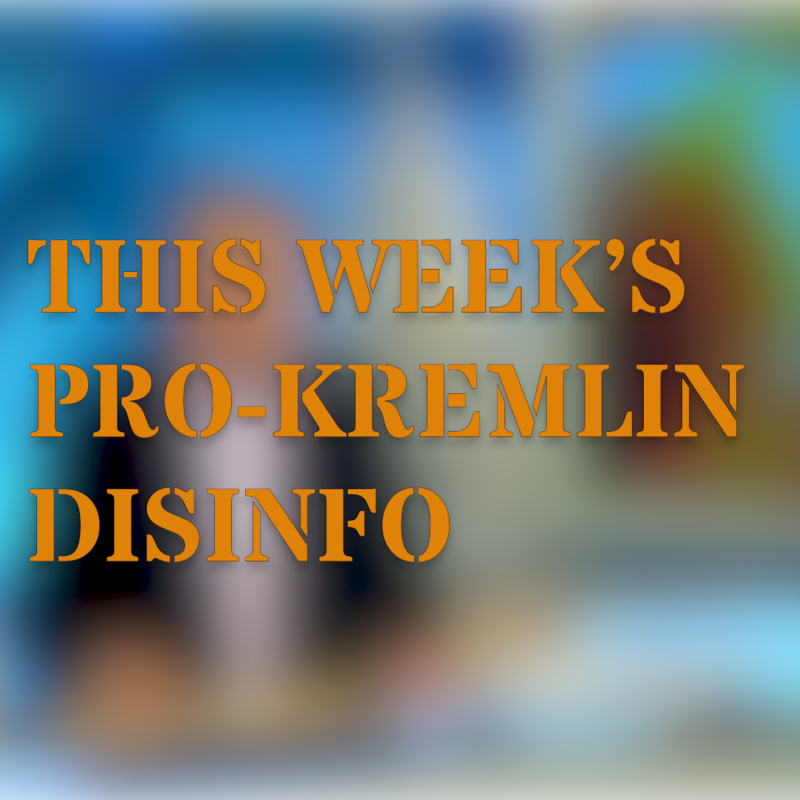 For more than two weeks now, the pro-Kremlin disinformation machine has been busy playing for time. The starting point – Russia denying its involvement in the poisoning but having no solid arguments to back its claim – is a weak one. But by distracting the audience, the disinformation campaign is falling back on familiar tactics and trying hard to turn a weakness into an asset.